Thank you to everyone who came to see us at VMworld US in Las Vegas. It was an amazing event and we spoke to a record number of attendees about how we simplify storage at the edge. Congratulations to our three drone winners, thank you for stopping by. 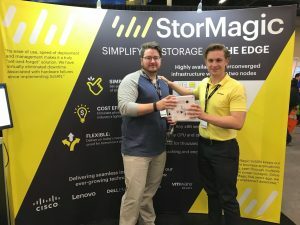 We enjoyed many promising conversations with potential future partners, as well as many valued existing customers and partners and Mark Jones, StorMagic’s System Engineer, ran live demos throughout the event. 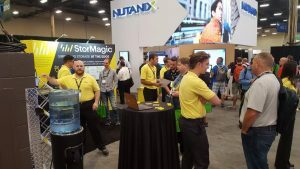 If you missed the event then make sure you check out the Forbes VMworld Digital Storage round up, which details all of the storage companies that they visited at the event. Our next event will be IP Expo in London, in October, followed by VMworld Europe, in Barcelona, in November. If you’re attending either event and would like to book a meeting with the team then please do so by emailing [email protected].